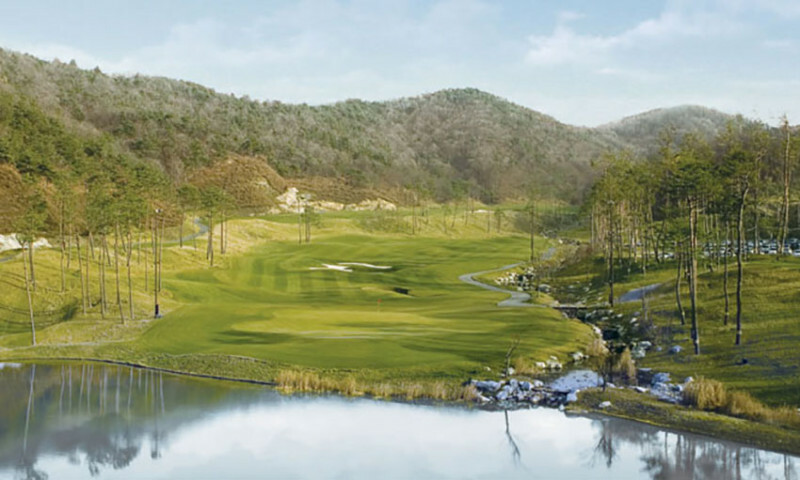 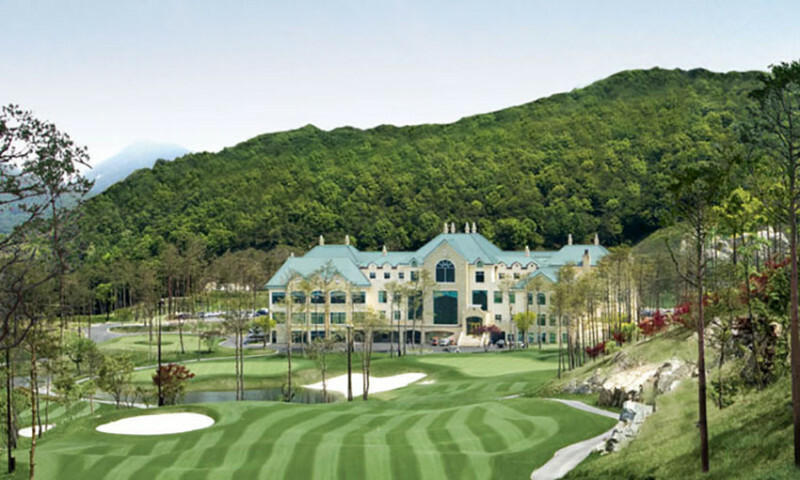 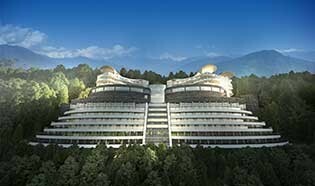 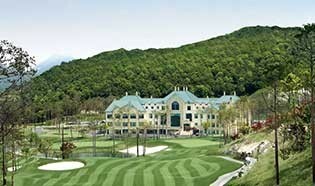 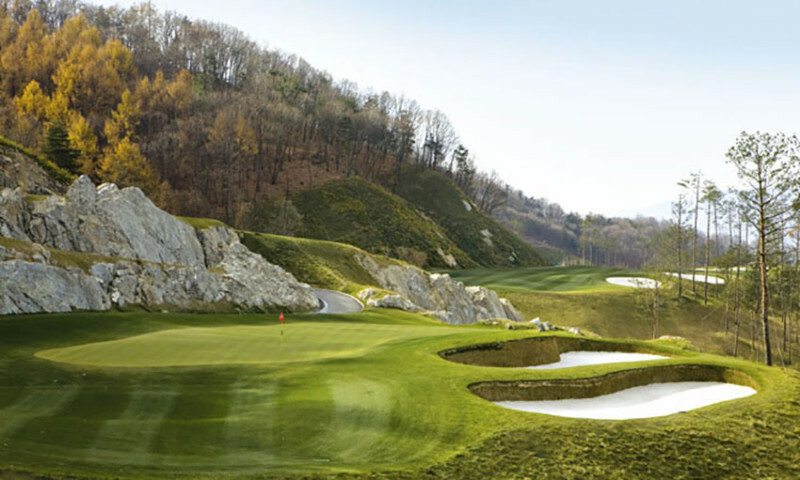 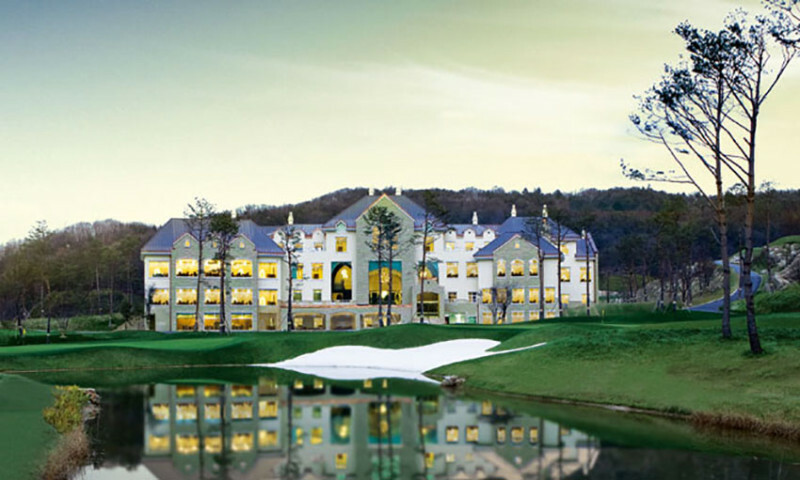 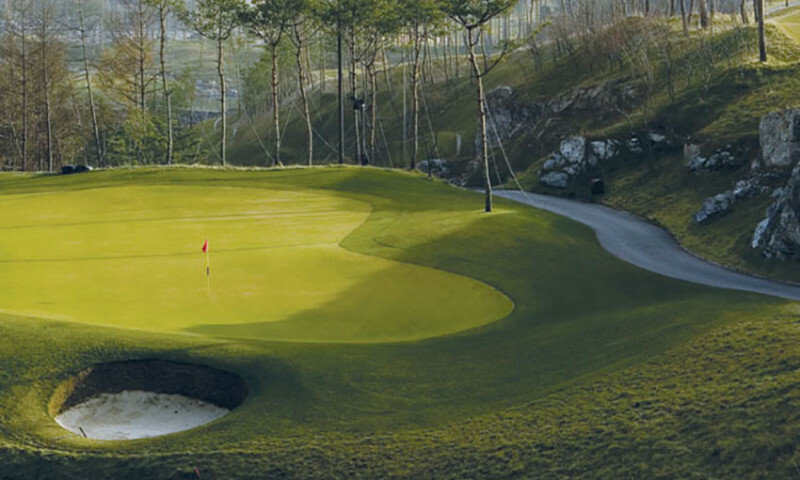 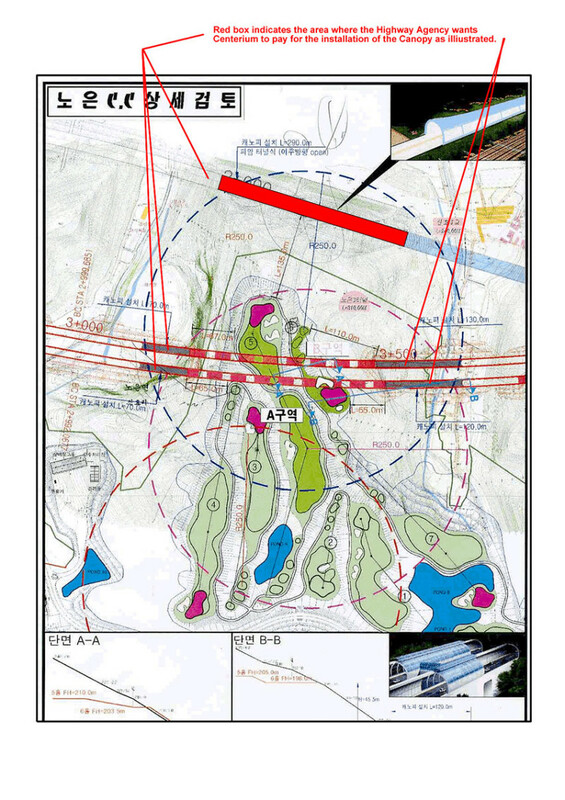 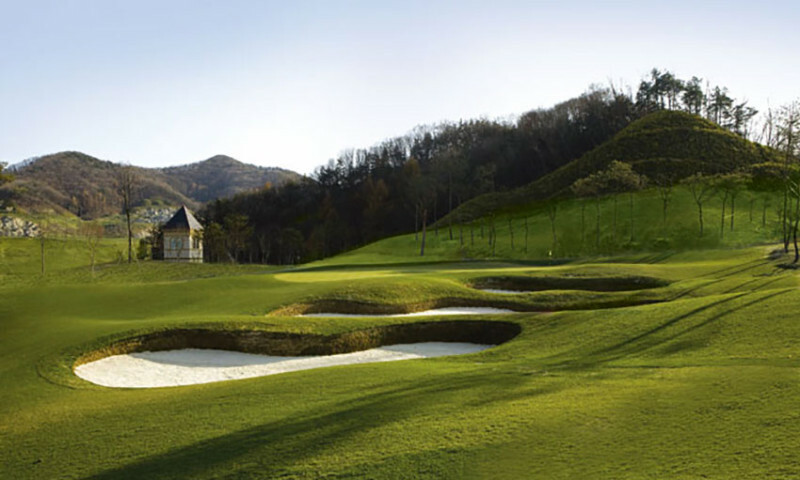 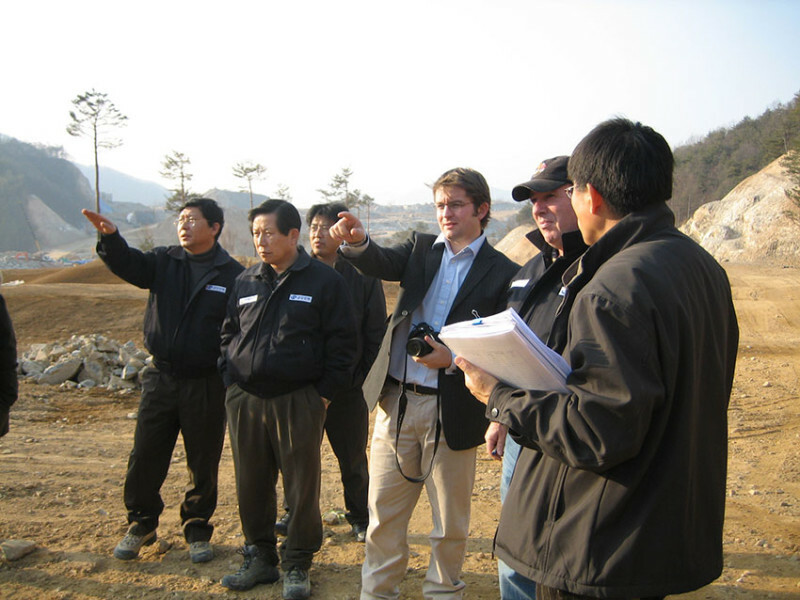 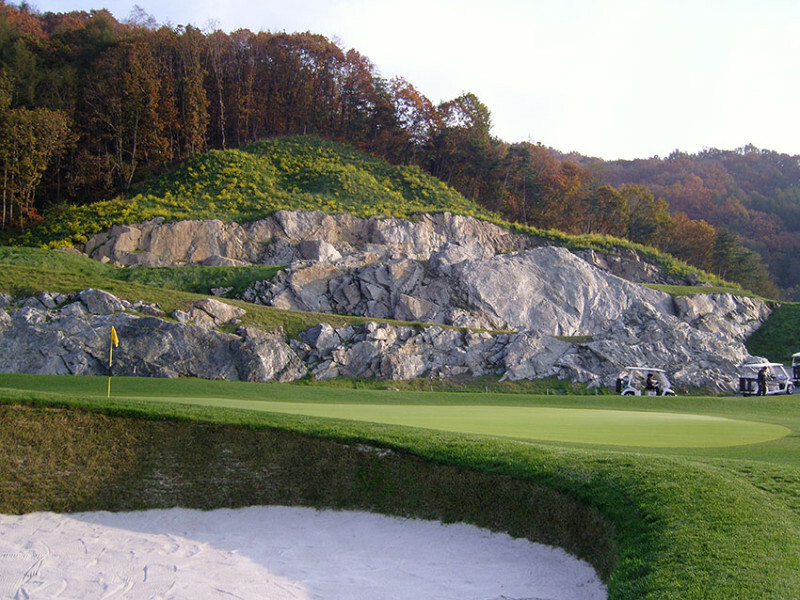 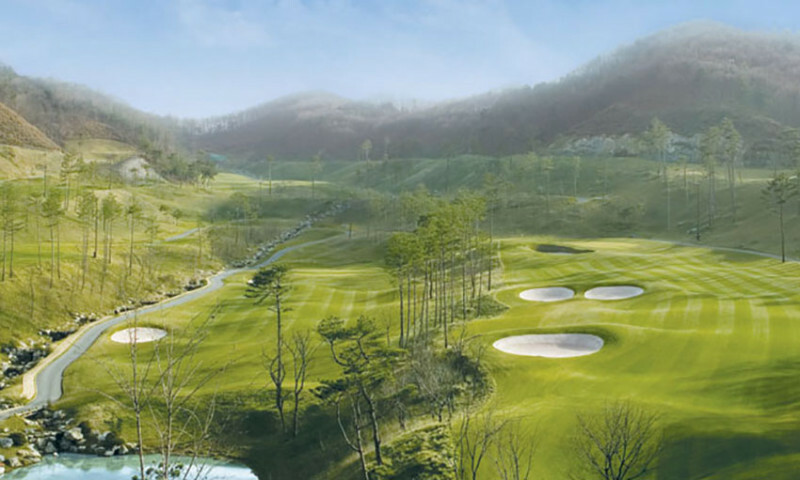 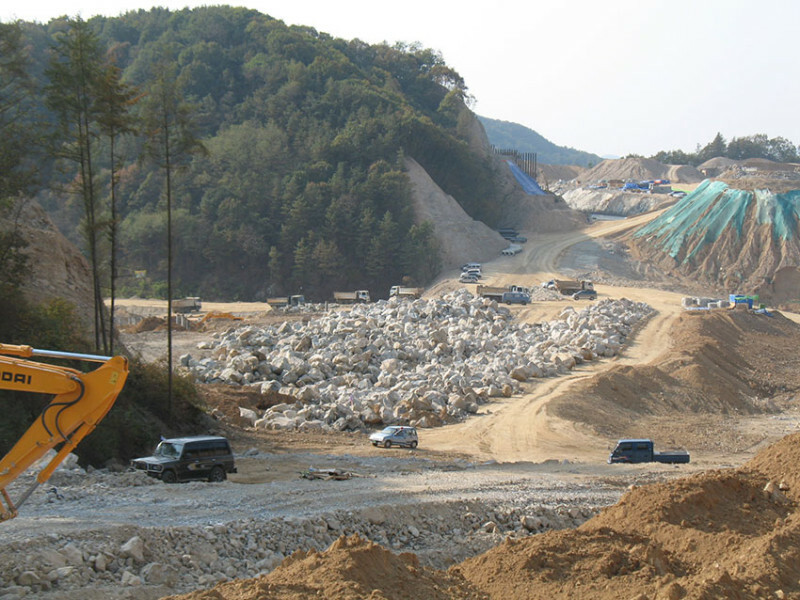 IDG (under the name of PGADC) was appointed to carry out the design and construction inspection of this 27 hole championship golf course in the South Korean mountains close to Seoul. 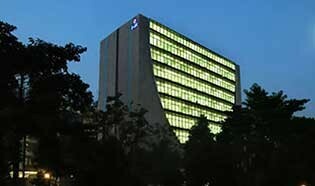 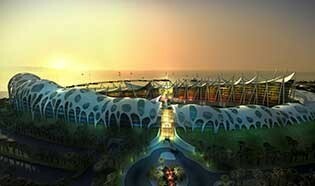 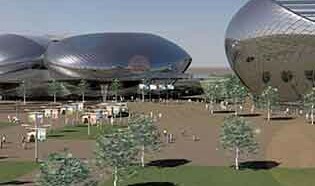 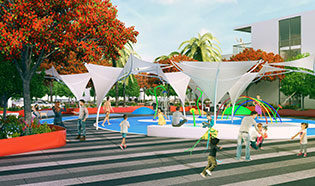 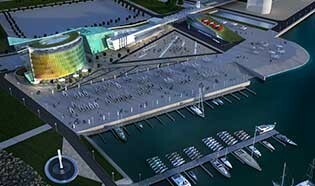 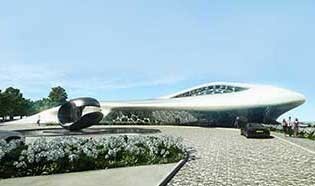 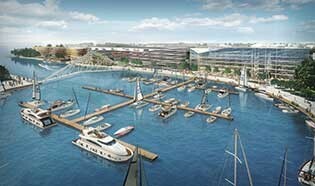 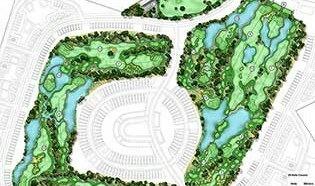 The site posed an extremely tricky design challenge with a multitude of local regulations that had to be met. 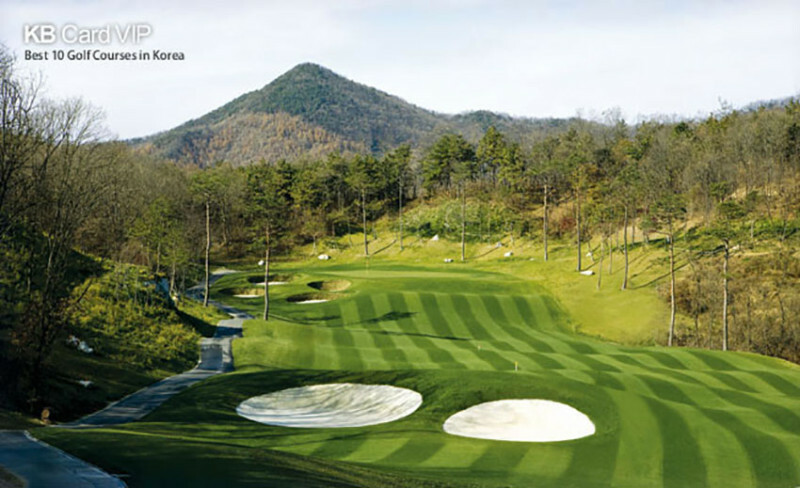 The steep mountains of Korea are difficult to design in and very difficult to build on but provide some of the most spectacular golf course in the world. 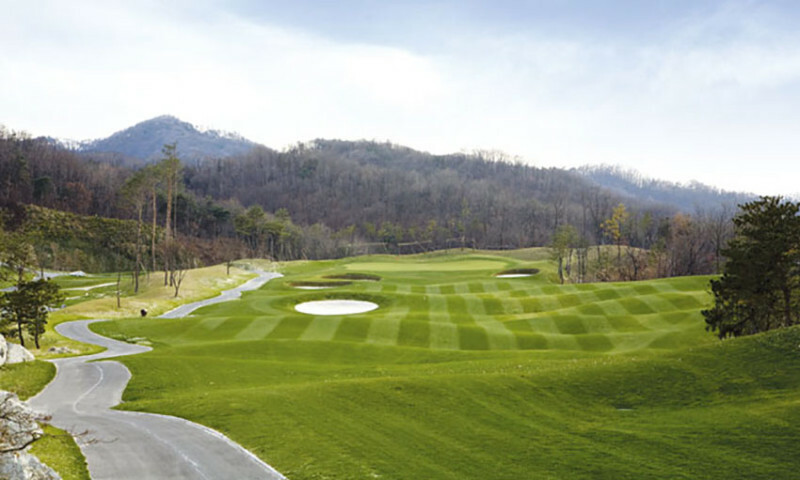 Three returning loops of nine means a flexible and profitable operation largely catering for corporate members. 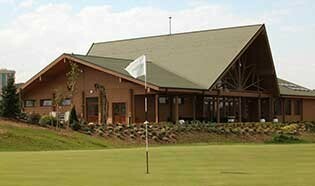 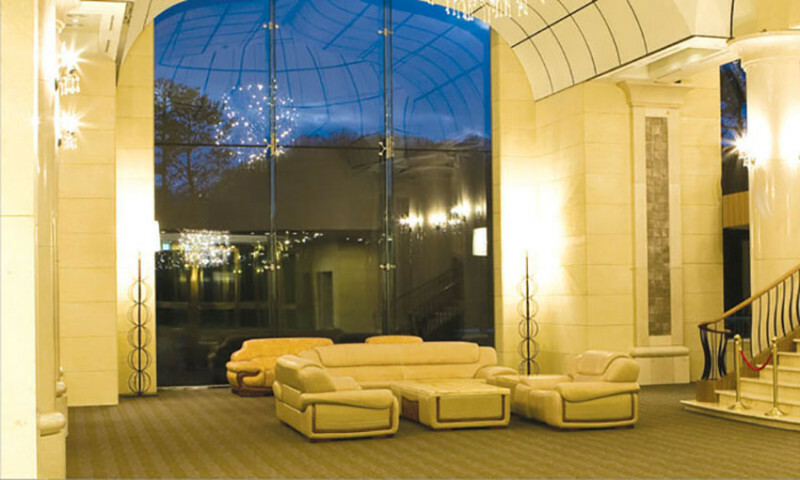 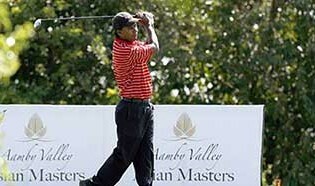 Its vast clubhouse has played host to some large events and conferences. 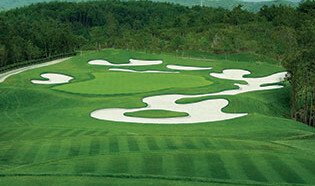 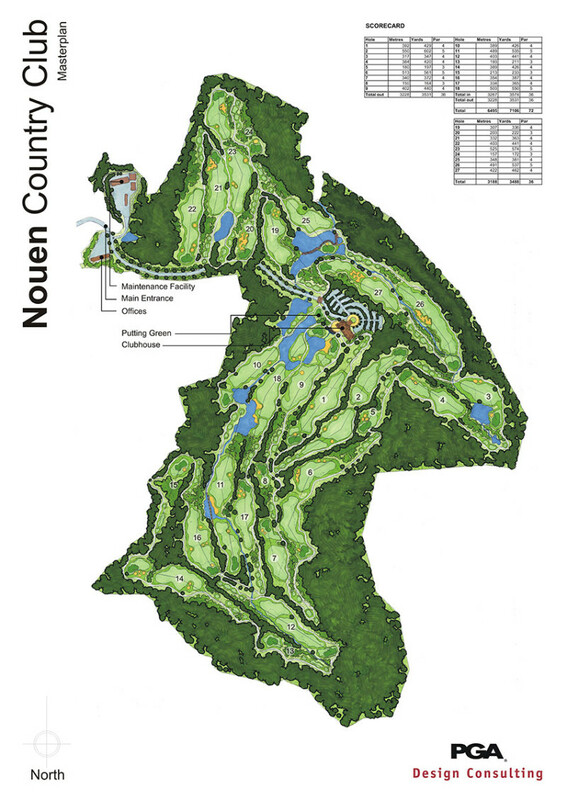 The course is set within two large valleys and one plateau mountain top creating the three separate loops of nine holes. 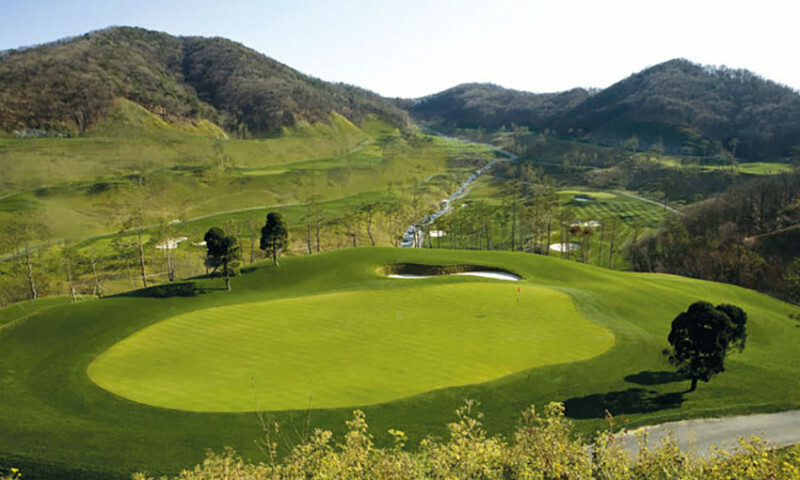 Running along the largest valley is a drainage system which deals with not only the golf course but the surrounding mountains. 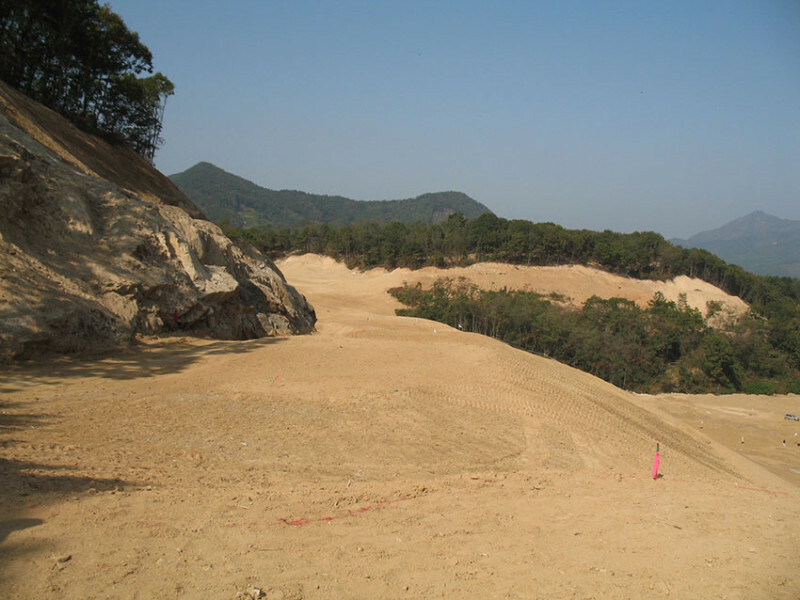 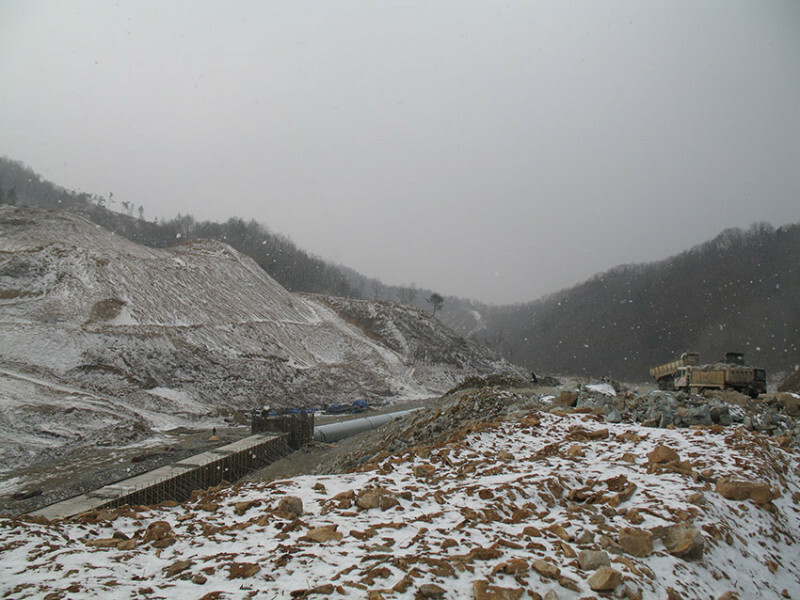 Strict regulations meant that all drainage water had to be retained in a large reservoir at the base of the site. 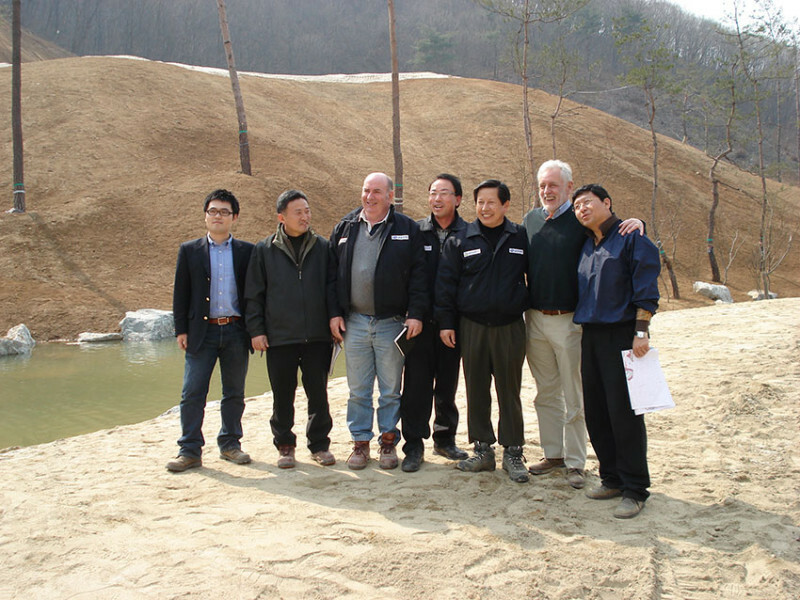 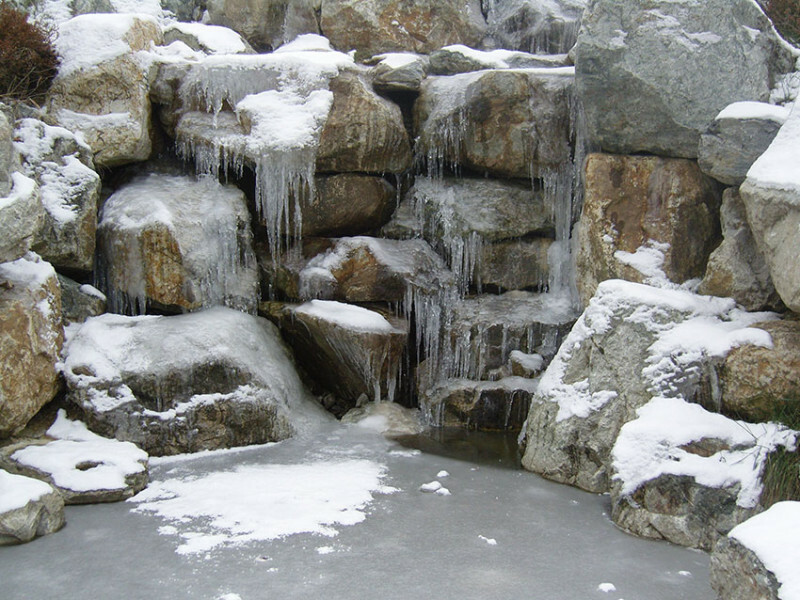 this reservoir plays host to a 9 metre high waterfall with a split level green at the top. 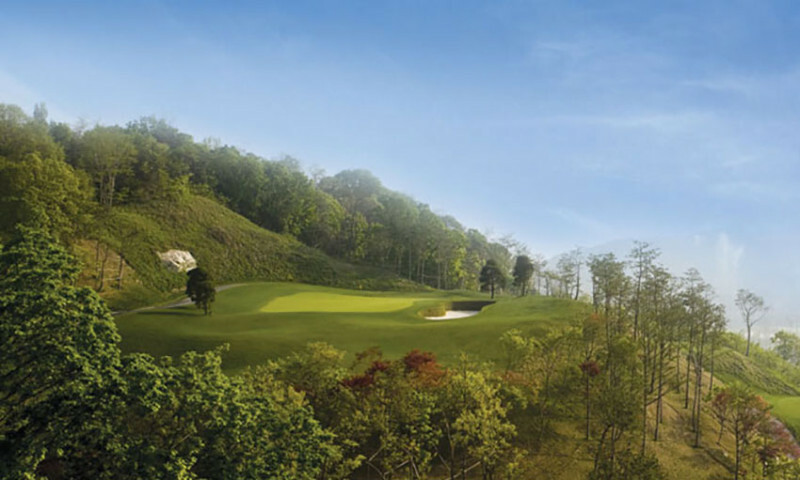 It could be said that this is the signature hole on the course although hole 15 is equally spectacular playing over a 40m deep ravine. 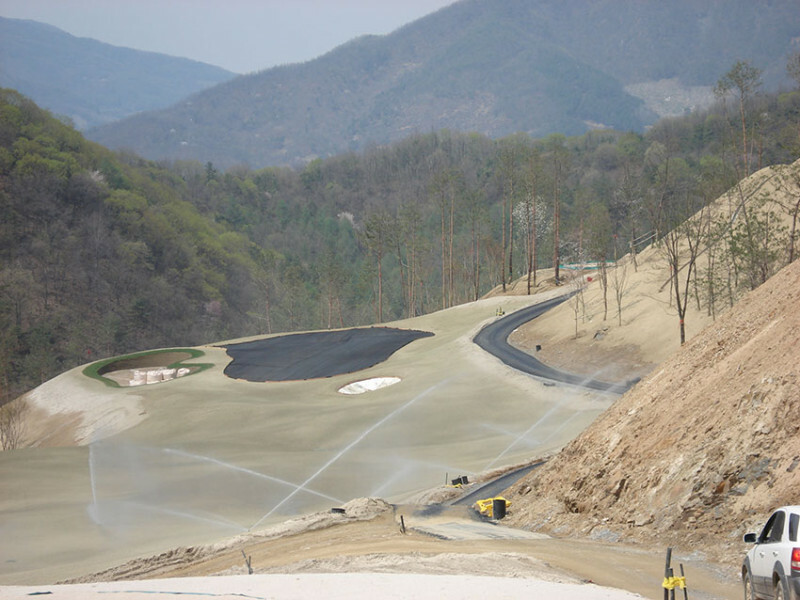 The Client was so impressed with this hole, he transplanted two specimen trees from his own vast garden. 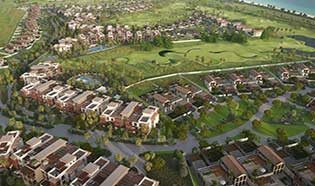 IDG, under its PGA Design Consulting brand, provided technical team project management as part of a development director role, overseeing an international team of designers. 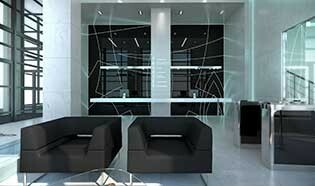 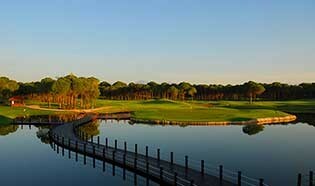 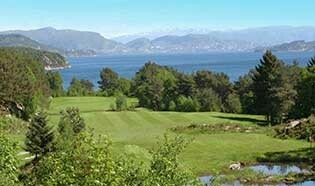 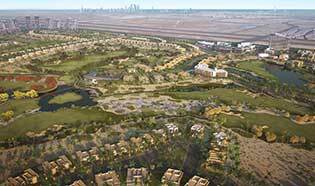 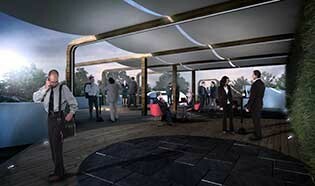 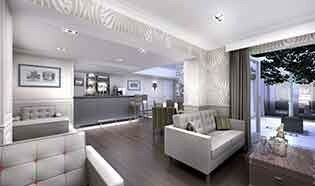 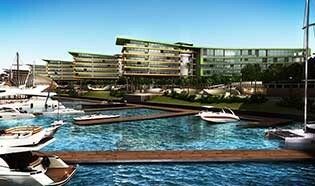 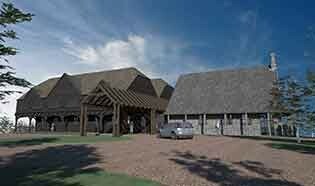 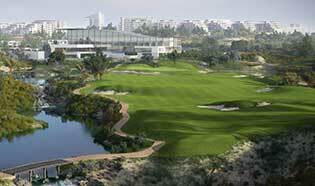 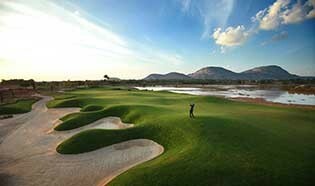 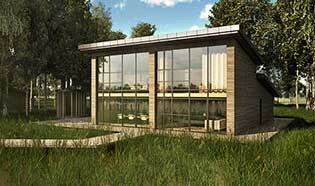 IDG also provided detailed golf course design, detailed landscape design and pre-opening consultancy.